Neolokal is the fourth venture on Maksut Aşkar’s journey. 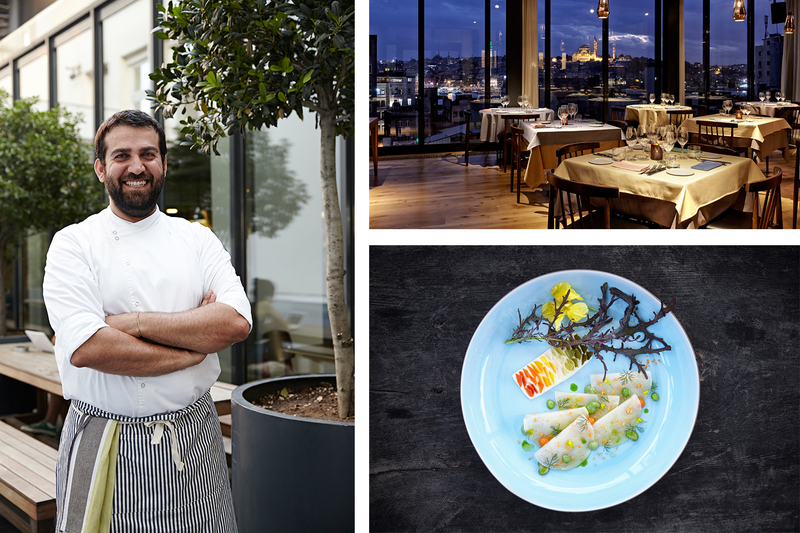 Together with his curious team, Chef Maksut brings traditional Anatolian food with a modern twist to our plates. By bringing traditional food into the limelight Maksut aims to remind us of the colourful and rich culture that Anatolia has, and to prolong the lifespan of many dishes that may be on the verge of becoming extinct. As the quality of the plates, the quality of the ingredients sourced from local producers are important at neolokal, they adhere to The Ark of Taste guidelines. A meal at neolokal is a culinary journey that requires the traveller to savour every flavour placed on the plate. Chef Maksut’s main inspiration is his childhood memories and below one may read about the food places that continues to inspire him today. Lades meaning “wishbone” in Turkish has two establishments located on either side of the street in Beyoğlu. One is famous for its breakfast dishes made of eggs called “menemen”, which is served not only during morning hours but all day long. They are also known for their milky puddings made with chicken (the combo chicken and dessert made be a bit of a shocker for those who has not tasted this delicious thing yet). The other one is a typical esnaf lokantası (“district” or “tradesmen” restaurant) offering daily specialities and olive oil cooked cold vegetables. Their consistent taste over the many years and the humbleness of the establishment, even considering their fame among locals, are sources of inspiration for Chef Maksut. To take a pause from the bustling streets of Eminönü one may lunch at Pandeli conveniently located on the second floor of Mısır Çarşısı (also known as the Spice/Egyptian Bazaar). 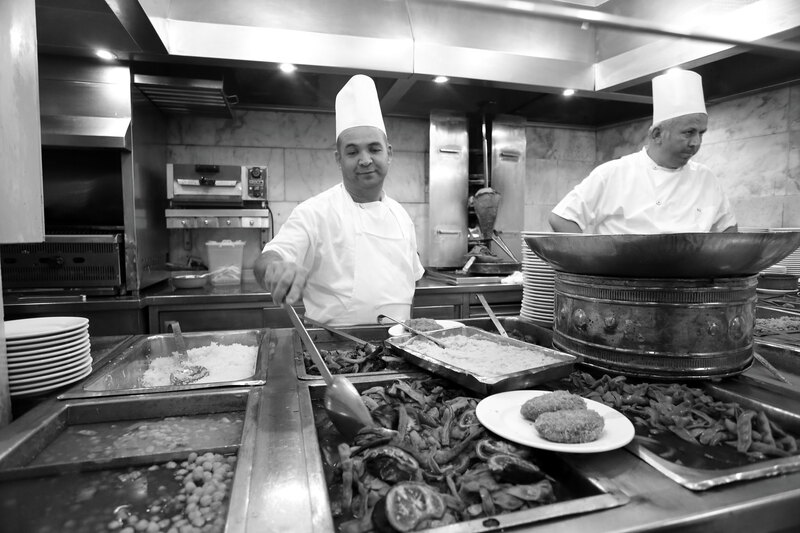 Pandeli himself started to cook for Istanbul in 1901, today his granddaughter manages the restaurant. This venerable restaurant is one of the best representatives of authentic Istanbul Cuisine which inspires Chef Maksut with its adherence to traditions. Although the menu has not changed in a decade, their specials are still deliciously their specials. Its beautiful walls with blue ceramic tiles welcomes one, and on it the pictures of and notes from famous world and local people are always interesting to read. Should one wish to have a table by the window it is worth making a reservation. Mind you it is only open during lunch hours. Çiya has three restaurants in close proximity in Kadıköy. While one is a kebab restaurant, the other one is serving regional vegetable and meat dishes from southeast Anatolia and east Mediterranean, the third one is a fusion of the two. Its food reminds Chef Maksut about his childhood and he admires its devotion to traditions. Whenever he feels a longing for those childhood memories he pays a visit to Çiya. One may encounter dishes never heard about before, nevertheless the way they are cooked and prepared enhances the taste of the raw ingredients. At its entrance it is possible to see the dishes and choose those which catch one’s eye. They also serve half portions which enables one to taste as many dishes as possible. It is frequently visited by locals. Çiya, located in Kadıköy (Asian-side) is only a 20 minute boat ride from Eminönü or Karaköy. Asitane gives life to dishes that were once served by the Palace kitchens. 500+ year old recipes are represented in the menu. Chef Maksut believes this is one of the best places to get to know the Ottoman Palace Cuisine and for him, they serve as a reference. The restaurant has periodically themed weeks such as “Ottoman Aphrodisiac”, “The Age of Sultan Mehmet the Conqueror”, etc. Located next to the Chora (Kariye) Museum and the old city walls it is a bit away from the touristic area, however a great break away from the crowds. It has a courtyard which is pleasurable during summer. One cannot talk about places for food in Istanbul without mentioning the “meyhane” culture. Meyhane is a place where one has alcohol, mainly raki, accompanied with meze, and discuss matters of life. Known as just “Refik” among locals, the meyhane was founded in 1954 by Refik himself and has been a prominent representative of the meyhane culture ever since. Starting the business with few mezes, today Refik has a variety of hot and cold mezes (mainly cooked with olive oil) and amuse-bouche. The culture it represents and their dishes are sources of inspiration for Chef Maksut with the way they are cooked and served. After a stroll on the pedestrian-only Istiklal Caddesi one can enjoy a delicious pause and take part in the famous culture at Refik which is on a parallel street to Istiklal close to the Tünel area. Eminönü has always been busy quarter of Istanbul because of its proximity to the Palace in Ottoman times and as its role as a trade centre, that still continues today. Things are happening fast in Eminönü and this is also reflected on the food; it has street food in its veins. Balik-ekmek being served from the boats at the entrance of the Golden Horn, is grilled fish fillets served as a sandwich, one is welcome to sit down at the small tables by the boats to eat the sandwich (which locals do) or may grab it and continue with their shopping. Another local traditional way to eat balik-ekmek is to buy a glass of pickle juice from the pickle men to accompany the sandwich. From the essence of Eminönü which are the bustling streets, tradesmen, street food, inspiration to other street food rise up. This busyness influences Chef Maksut and inspires him to create street food dishes to be placed in the menu at Neolokal. Another gem of Istanbul, Baylan, was founded in 1923, the same year as the Turkish Republic. It was established in Beyoğlu by Filip Lenas, an immigrant from northwestern Greece. In short time it expanded to Karaköy and Kadıköy. Although Baylan is not the first established patisserie in Istanbul, it is the oldest surviving one. Until recently the only remaining branch was in Kadıköy, now they have expanded to Bebek (European-side). It changed hands in 2009, however Mr. Lenas’ son Harry Lenas, the creator of its famous specialty Cup Grillée, remains in collaboration with the new owners. For Chef Maksut, Baylan is a cornerstone for desserts; including their devotion to the original recipes, the continuity, the same ambiance that has continued for nearly 100 years… For authenticity be sure to visit Baylan in Kadıköy. We Turks have a sweet tooth, it runs in our genes. An old custom is to bring sweets when visiting friends and family and Ali Muhiddin Hacı Bekir caters to just that. Established in 1777 by Hacı Bekir in Istanbul, it has a fascinating history and is the oldest living establishment in Turkey, run by the same family. It is rumoured that the “lokum" became world famous as “Turkish Delight” because of this shop. They can still be found in Eminönü, at their first established charming shop, and on Istiklal Street (Taksim) and in Kadıköy. One can find a wide variety of Turkish Delights and other specialties such as almond paste. Their existence, ceaseless operation and sustainability in terms of quality gives Chef Maksut courage and he finds pride in such a world known Turkish brand. Born in İskenderun, Turkey, Maksut Aşkar studied tourism and hospitality for 9 years. To become a manager he also took culinary training. Since graduation, he worked as a food and beverage manager for different companies. To express his passion of designing taste he has participated in group exhibitions in Turkey and abroad and also has had his solo exhibitions. He believes that taste should cater to all senses, and this belief is reflected in his work. Maksut has designed events and tastes, and has consulted for many major brands. He has taught and continue to teach classes at the different universities. Chef Maksut also has his own cooking show at the cable network 24Kitchen. A bicultural person by birth, an earth dweller and an Istanbul lover. Although traveling to different parts of the world quite frequently, have had Istanbul as base for many years.